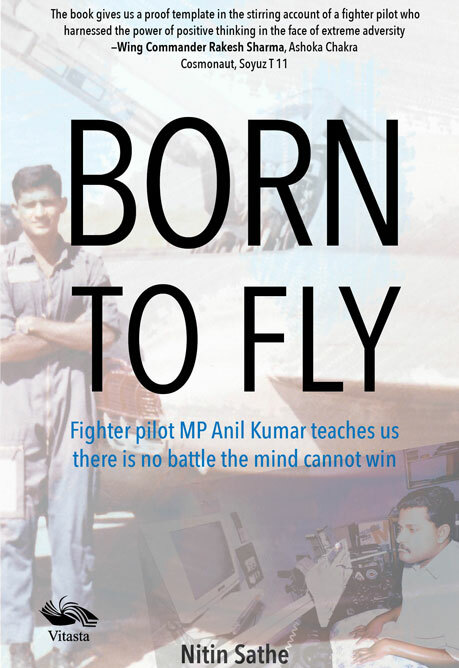 Born to Fly is the story of Flying Officer MP Anil Kumar who was a MiG 21 pilot in the Indian Air Force. As a result of a motor-cycle accident in 1988, when he was just 24, he was paralysed from neck-down.The accident reduced him to a near vegetative state, confining him to a wheelchair for the rest of his life. Battling with negative thoughts of giving up constantly, Anil finally decided to fight destiny as a quadriplegic. He picked up the threads of what remained of his life and wove for himself a meaningful second life. Using his pent up energies and an ever-expansive mind, he chose to become a prolific writer and media commentator. His first mouth written essay, Airborne to Chairborne, which propelled him into the world of writing, was included into school curricula, spurring children to face all adversities without losing hope. His life has, and will continue to be, a source of inspiration for generations.